These exceptional stones showcase quality and stunning color. 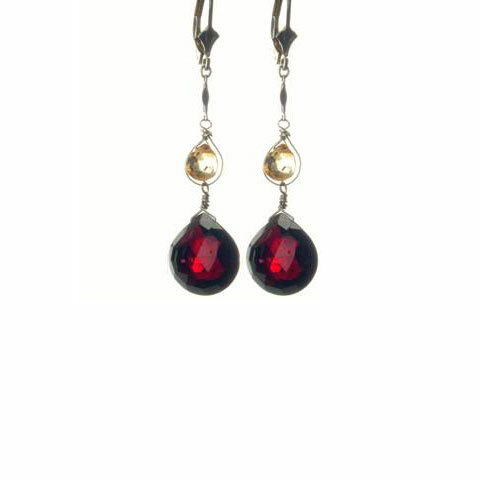 Large Garnet and Citrine teardrops are hand wire wrapped resting in perfect harmony. Secure sterling lever back closure.